Nine Dragons Restaurant Restaurant in China in World Showcase at Epcot; opened on October 23, 1985. 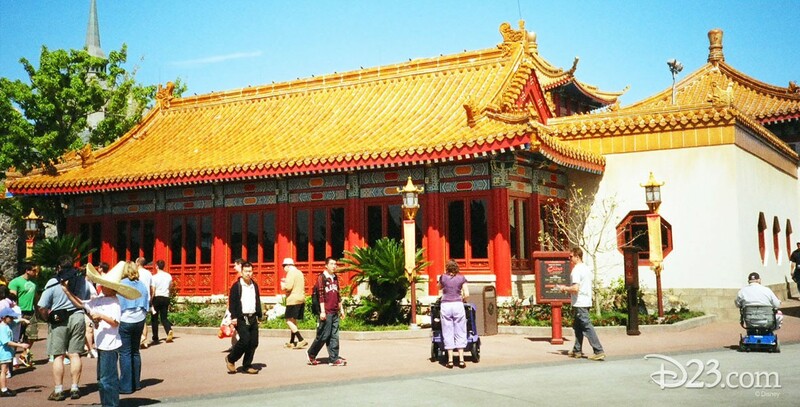 It seemed a little odd that World Showcase opened with China, but with no Chinese restaurant, because of the popularity of Chinese cuisine. That omission was remedied three years later, and the resulting restaurant has been honored with awards for its blend of Chinese cuisine from many of the provinces.